The Rebel Sweetheart. 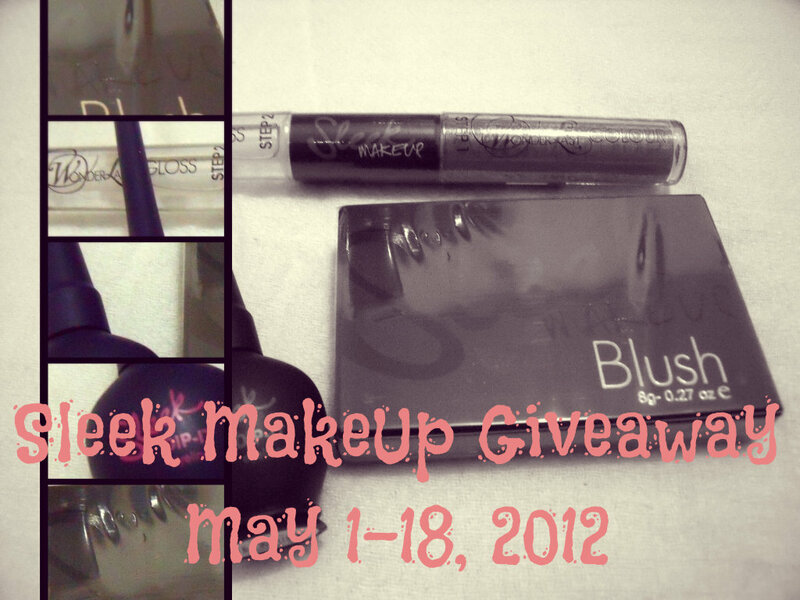 : Join | Sleek MakeUp Mother's Day Giveaway! Everyone loves their mom and always wants to find the best gift to make her feel loved and appreciated. These are the gifts I have found - a bunch of Sleek MakeUp products - and I would love to share them with you. All these made possible by Sleek MakeUp PH, the official and authorized distributor of Sleek MakeUp products here in the Philippines. Details of each prize item can be found in this sponsor spotlight article. Other Sleek MakeUp products that you might find interesting are posted here and here. Joining is easy peasy! Enter the giveaway through the Rafflecopter below. Please be patient as it takes a few seconds to load. This giveaway is open worldwide and will run until May 18, 2012. I'd like to try their false eyelashes and mascara. I'd like to try their SLEEK FIXX lashes and also the SLEEK Lash Out Mascara. I'm not fond of wearing make ups but I want to try the Cheek Blush in Flamingo. Just for a try! I would like to try the ONE FINISHING POWDER. IM joining mothers day giveaway! I love your mascara!...And Im not blogger,hope to win this item for my beloved mom! weee... im joining!!! hope to win ur giveaway... cross-fingers! I've been eyeing that 1 dip it eyeliner already, so it's what i'm excited about! wow, really nice, hope you can also join our green monday meme. thanks much. i have never tried any of their products i would love to try one of their pout paints! at the age of 60 years old,, i am still a make up fanatic.. on my younger years i use to work for a make up company (make up barand) and since then i love wearing make up. specially during some gatherings and reunions i never neglect wearing them. so if ull let me win, for sure it will add up to my make up collections. i want to try Cheek Foundation in Flamingo its sounds cool hehe never tested it ever so i guess this is the time :) pls be mine Cheek Foundation in Flamingo. I would like to try their blushes. I love the Sleek Lash Out Mascara!!! Hope to win, hihi! I'd like to try their cheek blushes! i really would like to try their true color lipstick .. I'd like to try the Eau lala eyeliner. I would like to try their Luminaire Highlighting Concealer. I love to try the SLEEK Lash Out Mascara. I'm so excited about new matte palettes, the colours are amazing!!! I like the Blush by 3 in Pumpkin. Thanks! Would love to try the High Shine lipgloss! I love to try this Dip-it Liquid Eyeliner. I'd Love to try Pout Paints. I have heard a lot about them. I'd love to try the liquid eyeliner, it looks good! Just came across your blog and I love it. I'm most excited for the Dip It Liquid Eyeliner!